I, Zeb the Duck, went to Toby’s Pet Parade and Fair. 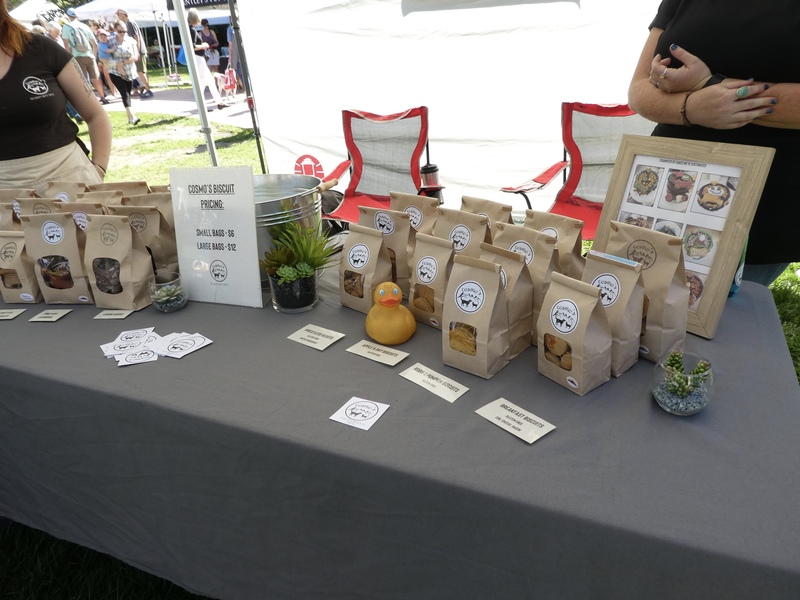 This pet fair is a fundraiser for Foothills Animal Shelter. We love animals. We love parades. We love fairs. So here we are, in Golden, Colorado, a western suburb of Denver. 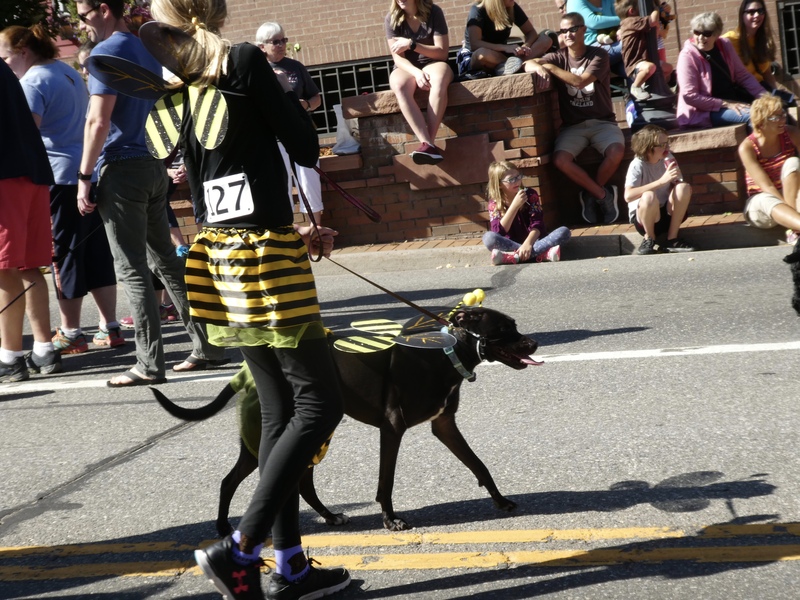 There were more than 200 dogs in costume in the parade. Many more at fair, but not in the parade. This was cute. 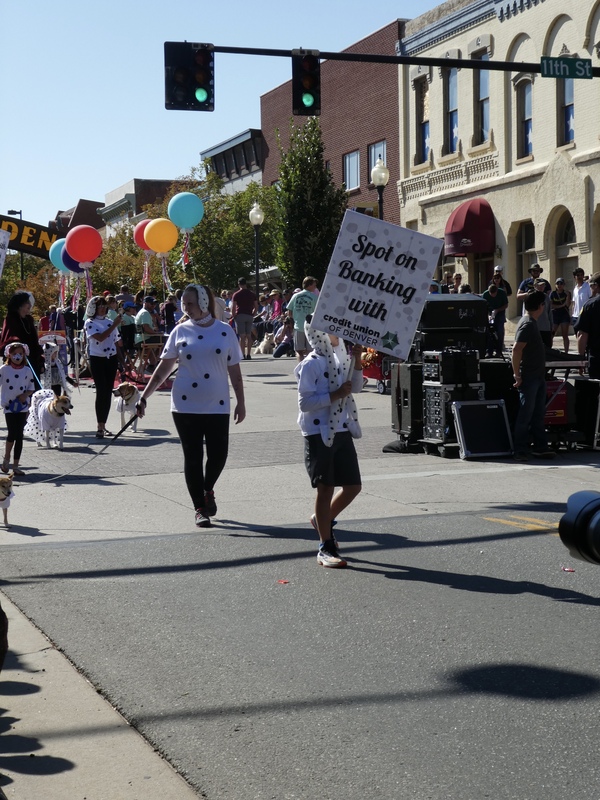 Spot on Banking from Credit Union of Denver, a major sponsor of Toby’s Pet Parade and Fair. 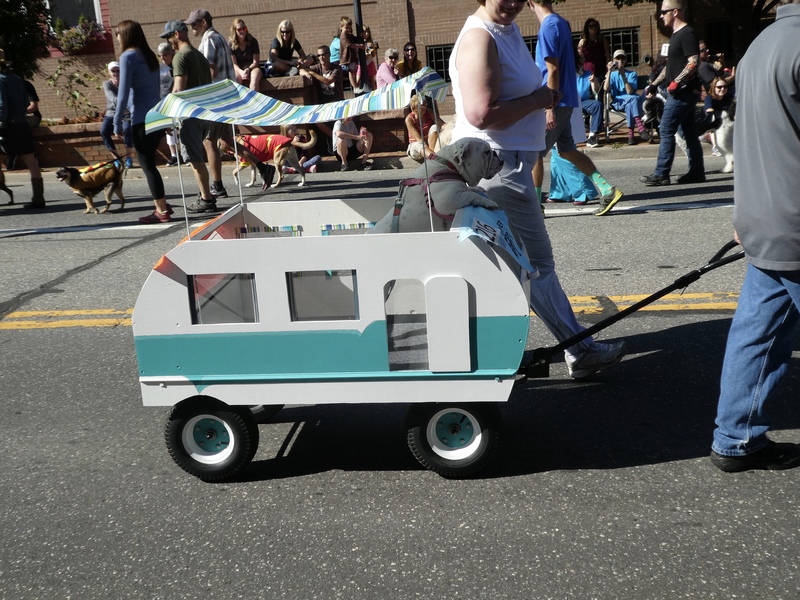 One category in the parade was look like your dog. 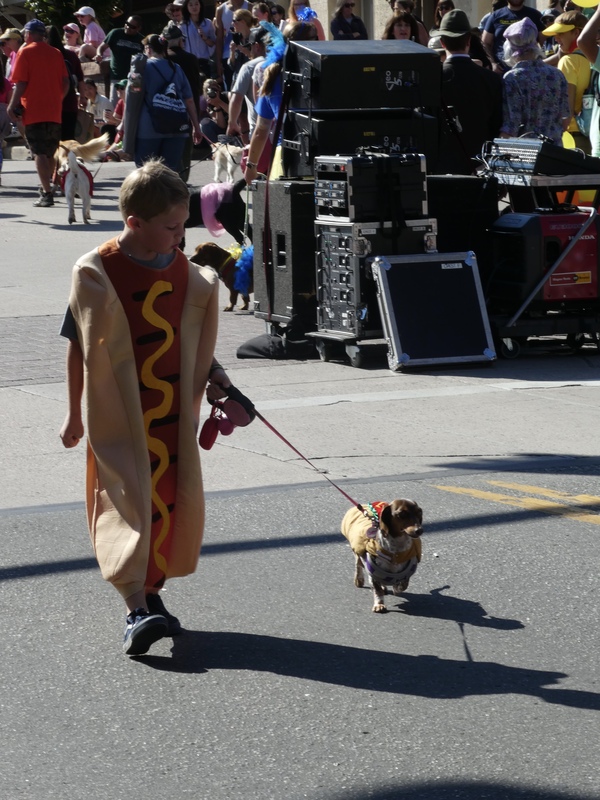 We liked the hot dog costumes. And what is this? 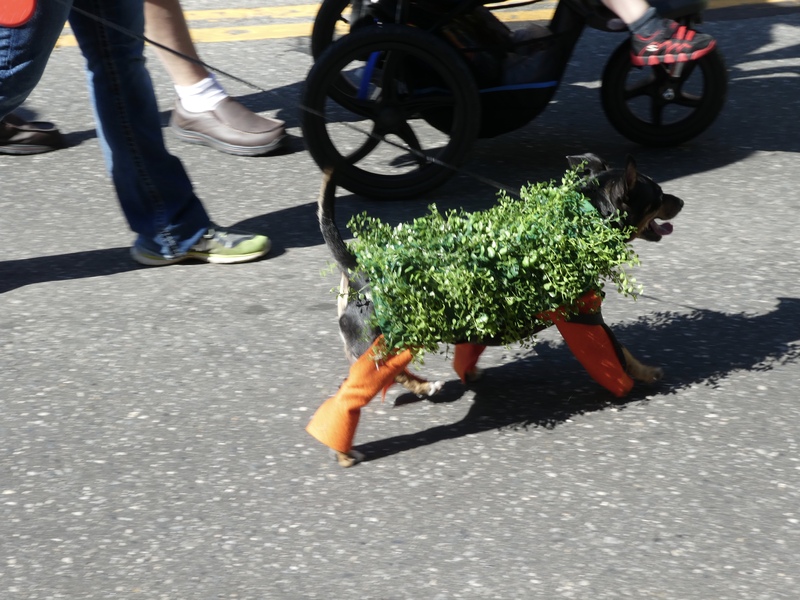 Shrub dog? Of course not. This is Chia Pet dog. Adorable. Need to solve a mystery? 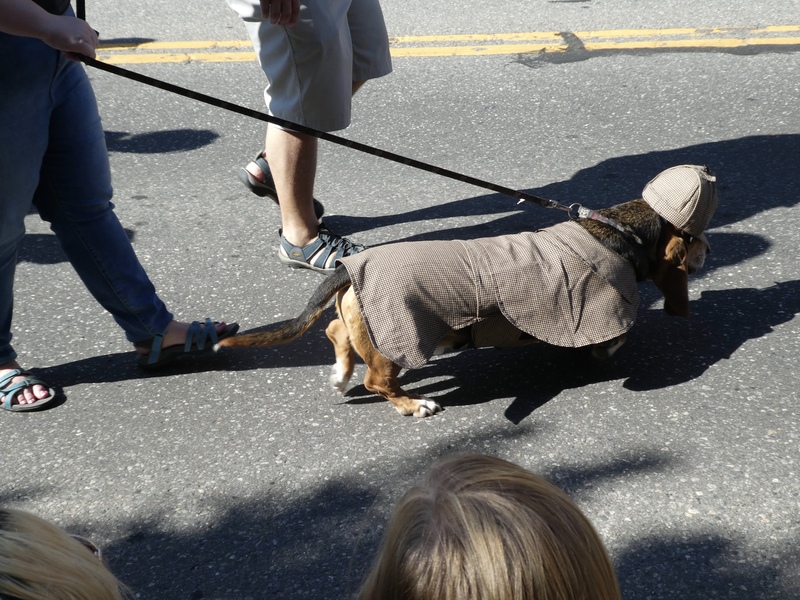 Sherlock Holmes dog is here to help. Camper dog is ready to go out. So many people camp in and around the beautiful Colorado Rocky Mountains. Another matching costume. We love the bright bee attire. It is autumn in Colorado and hunting season is right around the corner. Hunting dog is ready. Toby, an Australian Shepherd, is Foothill Animal Shelter’s official Mascot. He was found 3 years ago in bad shape, but recovered and now has a loving, forever home. Another entry in the look like your dog category. Look like your dog contestant. They didn’t win, but they sure got our attention. We love them. 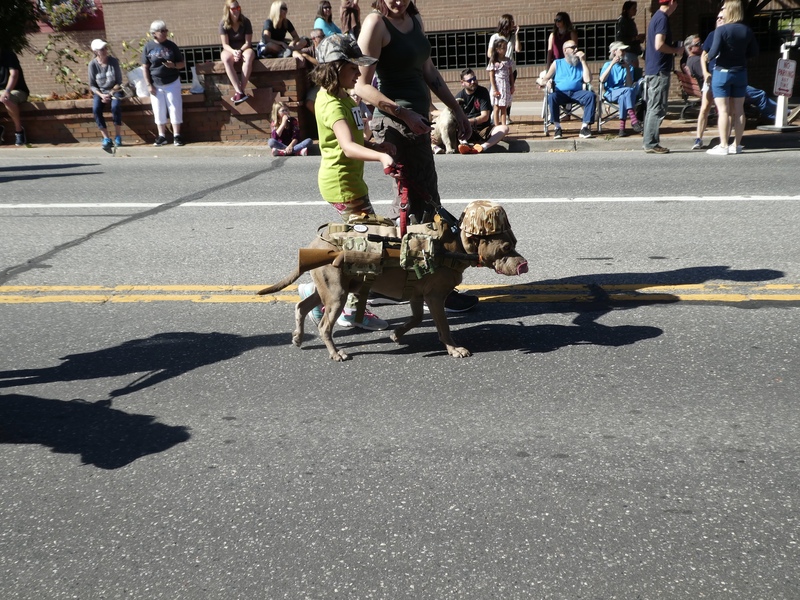 This dog was not in the parade or any contest. 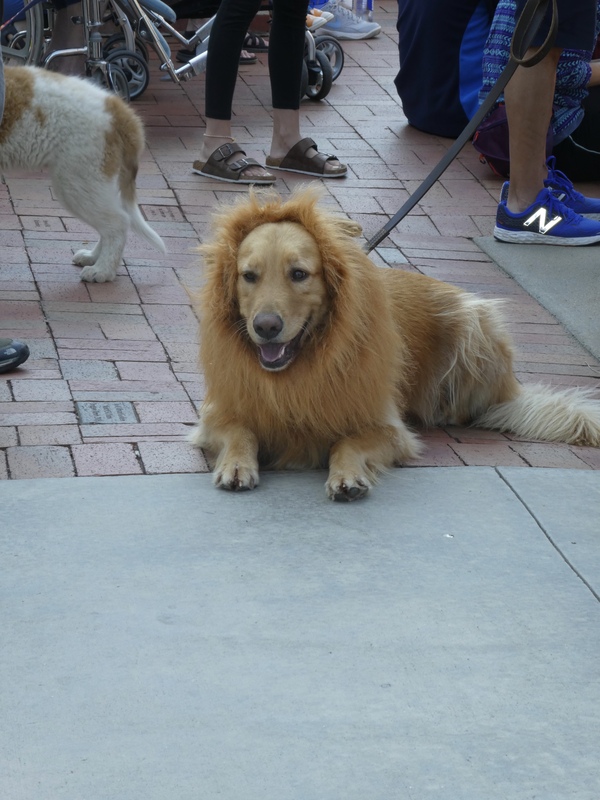 But we loved the grooming and the lion appearance. Here are some winners from the parade. In the Macho Dog category. Love the leather. 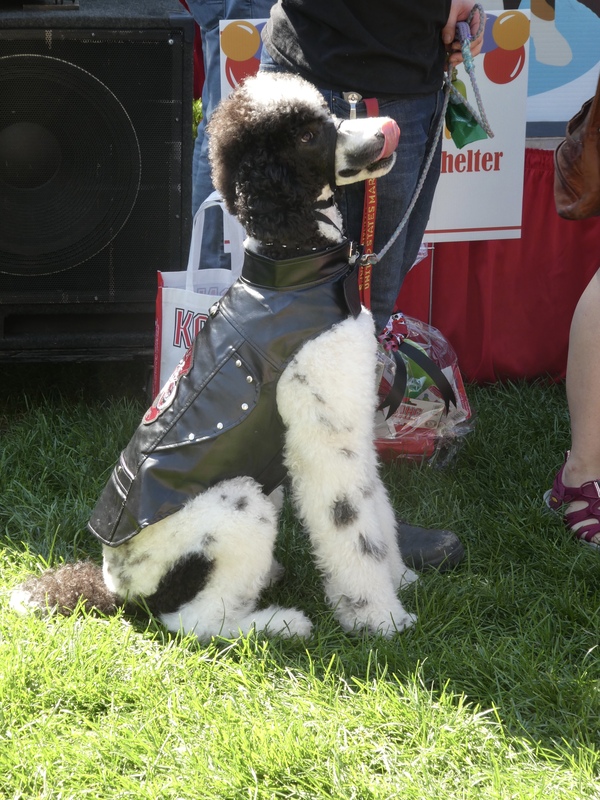 Biker dog? Next winner will make most dog owners laugh, and groan. 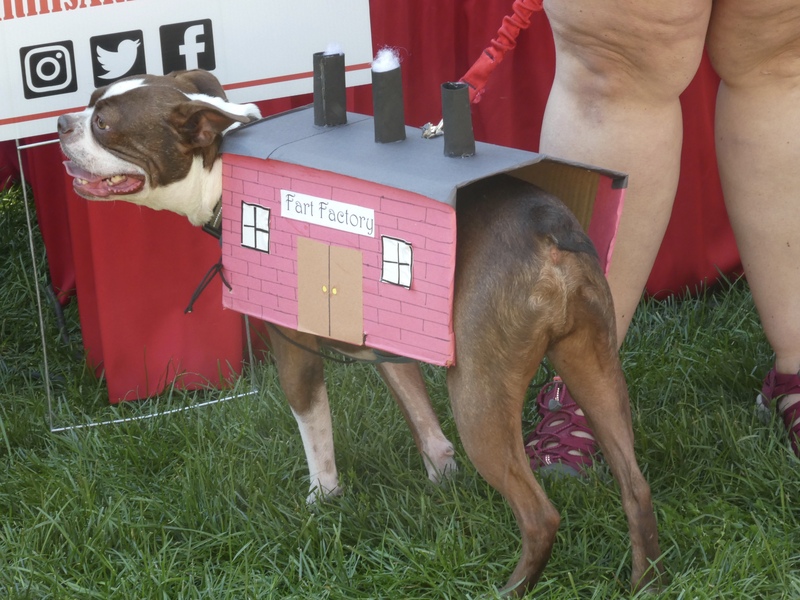 This dog is the Fact Factory. We like this boy and his dog. Firemen and winner of look like your dog category. 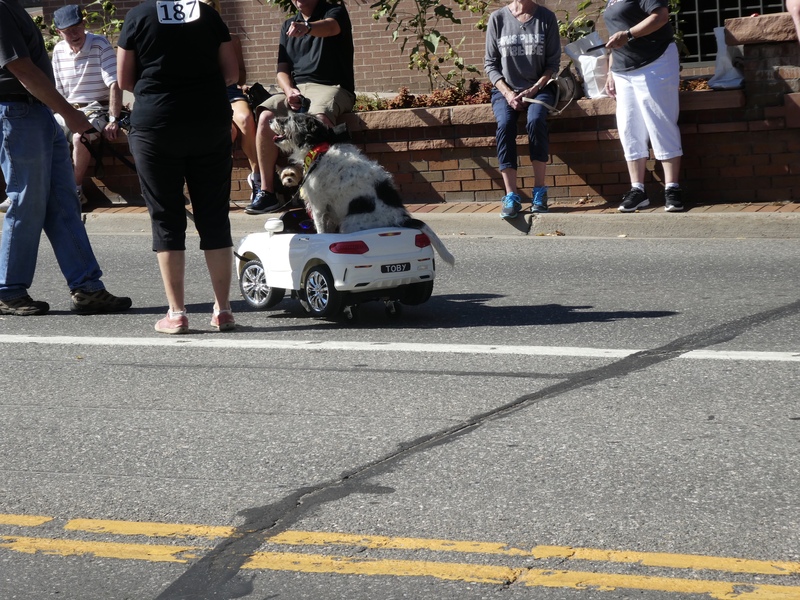 I, Zeb the Duck, was there enjoying the parade, but I don’t get too close to dogs. Too many times a dog thought I was one of his toys. So, I look from a distance. But this is safe. Dog treats. We bought some! We like special dog treats for the dogs in our extended family. We bought treats with apples in them. Really sounds good. Since this was a fund raiser, we did give a donation. All donations will be doubled by Tito’s Handmade Vodka. 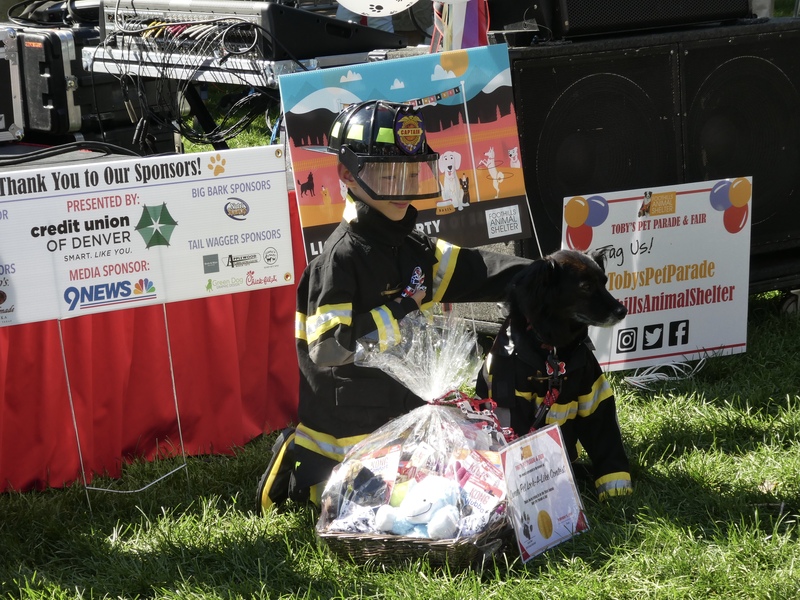 We hope a lot of money was raised for our Foothills Animal Shelter. We had fun and we think the dogs had fun also. Maybe we will see you there next year. 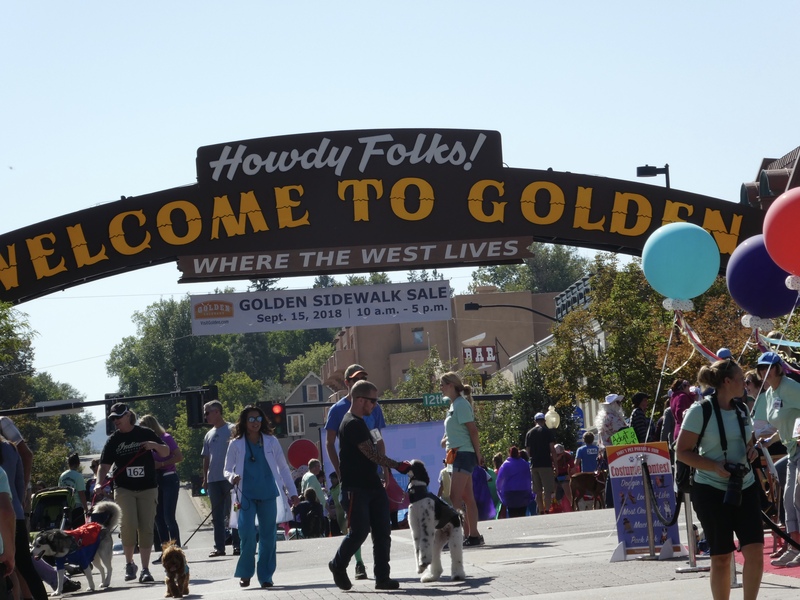 This entry was posted in Colorado, Uncategorized and tagged Colorado, Colorado Traveling Ducks, Cosmo's dog bakery, Foothills Animal Shelter, Golden, Tito's Handmade Vodka, Toby's Pet Parade and Fair. Bookmark the permalink. 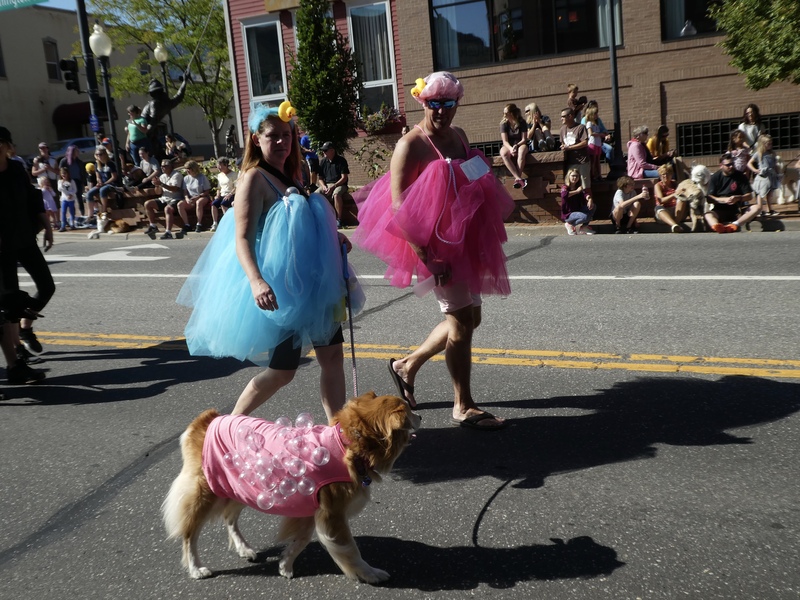 It was a lot of fun to see all the well behaved dogs and the great costumes. It was a great day. Thanks. Believe a lot of money was raised. Fun for dogs, humans and a duck. Chia pet dog was one of our favorites. These people and dogs seem to be having a lot of fun. What a great idea. Weather was perfect and seemed like everyone had a great time. And money raised for a favorite cause.